Indian Ocean-British Indian Ocean Territory This is a map to show you the islands in this group. 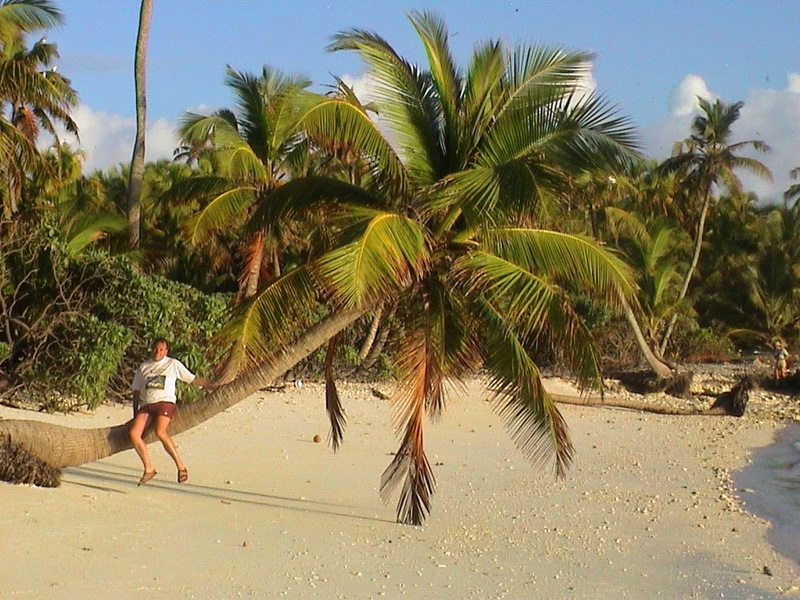 On this trip the first island to visit was Danger Island. 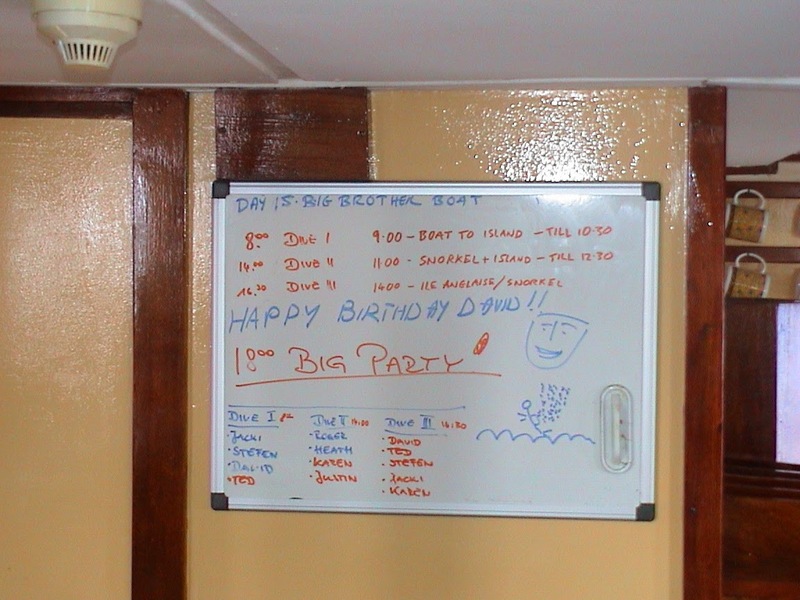 Also visited was Eagle,Three Brothers, Salomon and Peros Banhos. 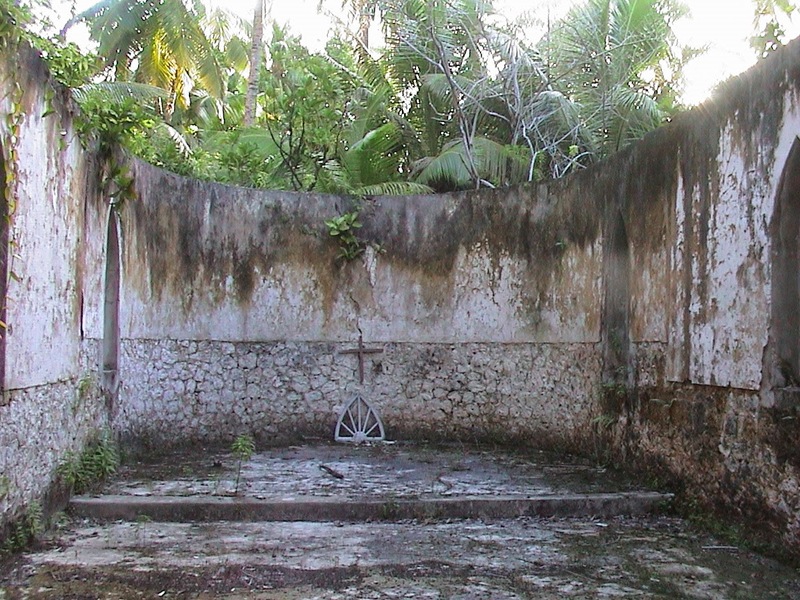 On Peros and Salomon both islands had the buildings and graves of the people who once lived there. 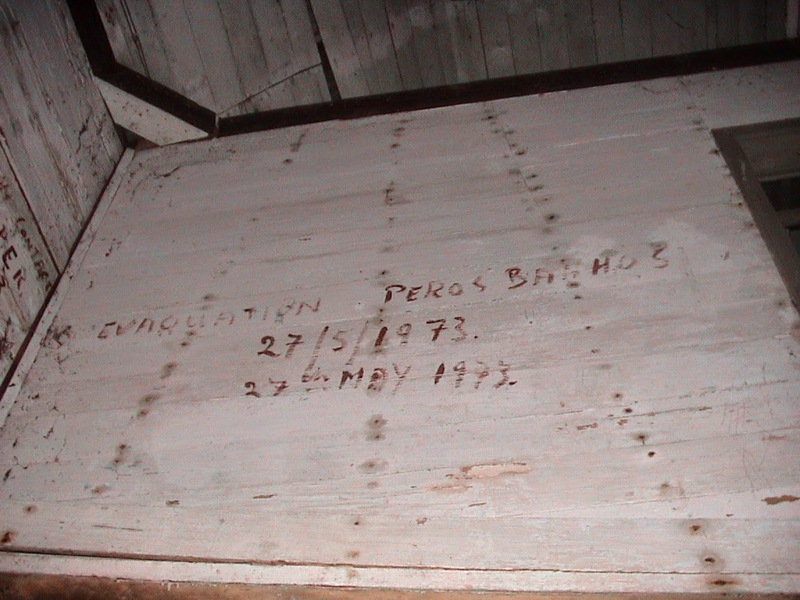 The people were removed in 1976. This is a very sad story and if interested I suggest you Google it . I visited here from 17 April to 5 May 2005. Nearly 10 years ago. British Indian Ocean Territory if currently off limits to visitors ( excluding yachts who make their own way usually from Cocos (Keeling) and Christmas Islands in the Indian Ocean. 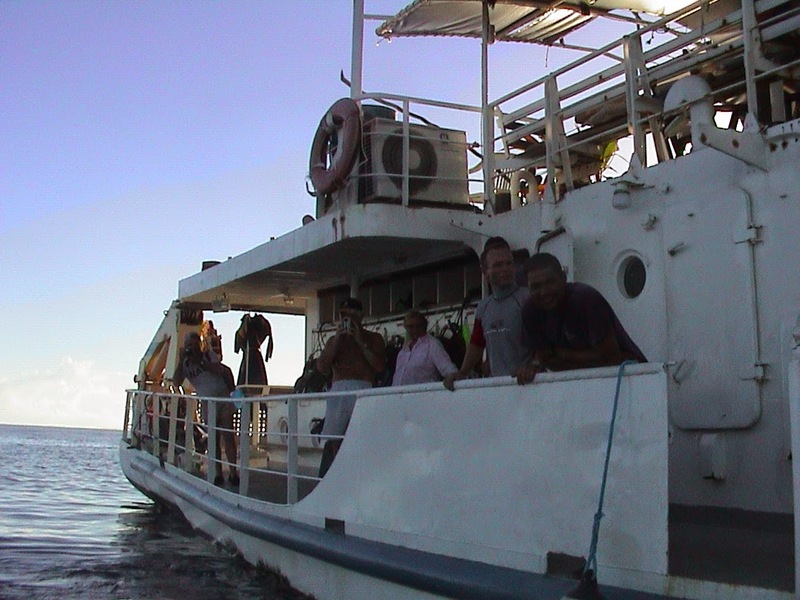 I was lucky to be part of a Scientific mission to see who the Islands were after the Tsunami of December 2004. 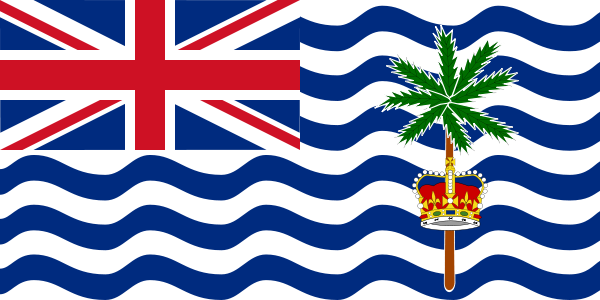 Flag of British Indian Ocean Territory also known as BIOT. 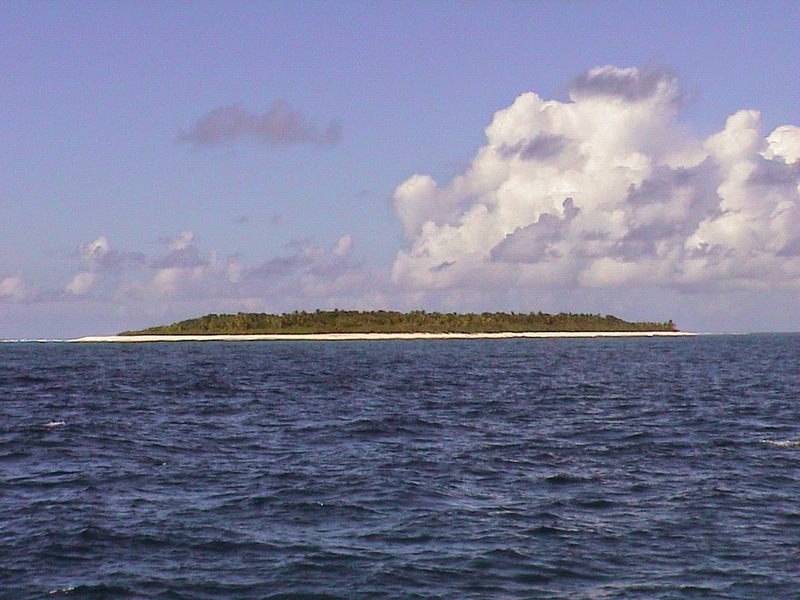 This is how the some of the low lying atolls look like as we arrive by boat. The water was nice and warm and usually very calm. Though this area has some of the highest rainfall in the world. To get to each island we had to leave our "mother ship" and get on a Zodiac . 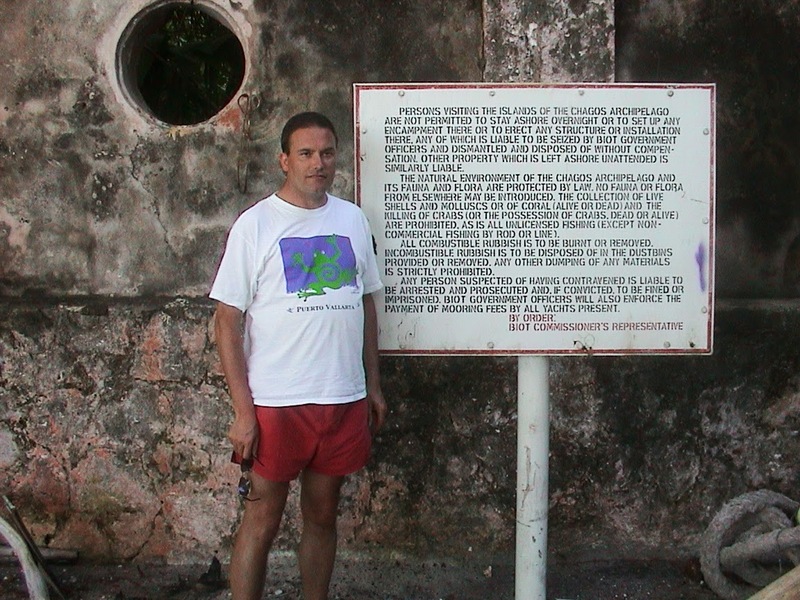 Usually we could not get right to edge of the land due to coral .So as seen in the second photo we had to swim the last part in , usually holding waterproof bags with our cameras. Sure was fun !!! There was 16 on the trip in total. Here some of us on the ship. The " Indian Ocean Explorer" . The captain was great as was the fresh food prepared every day. 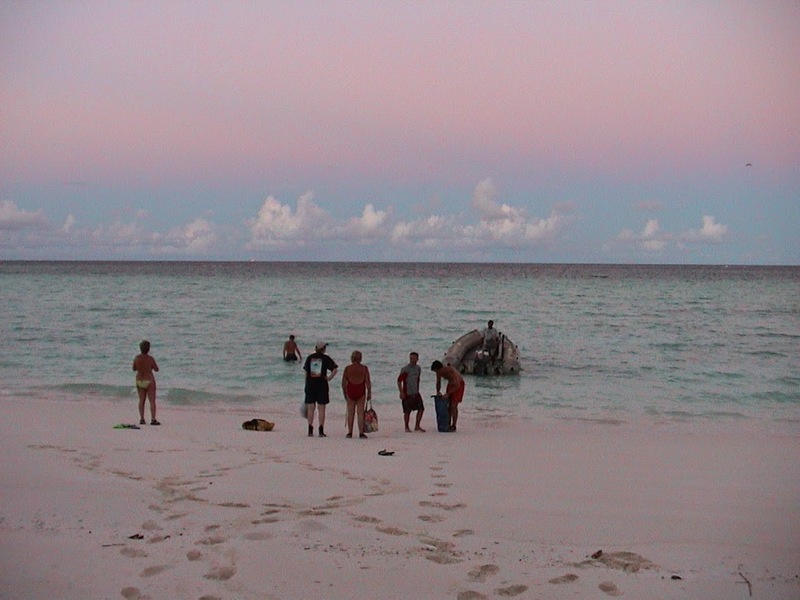 Unfortunately the ship was captured by Somali pirates in the area of the Seychelles around 2008 and was burned. The Captain did survive but has not gone back to sea since as far as I know. The first photo from the top shows the old plantation Managers house. This is on Peros Banhos . On one of these Islands we found horses which was pretty amazing. On Peros Banhos the old Church and the cross at the harbour still stands tall. 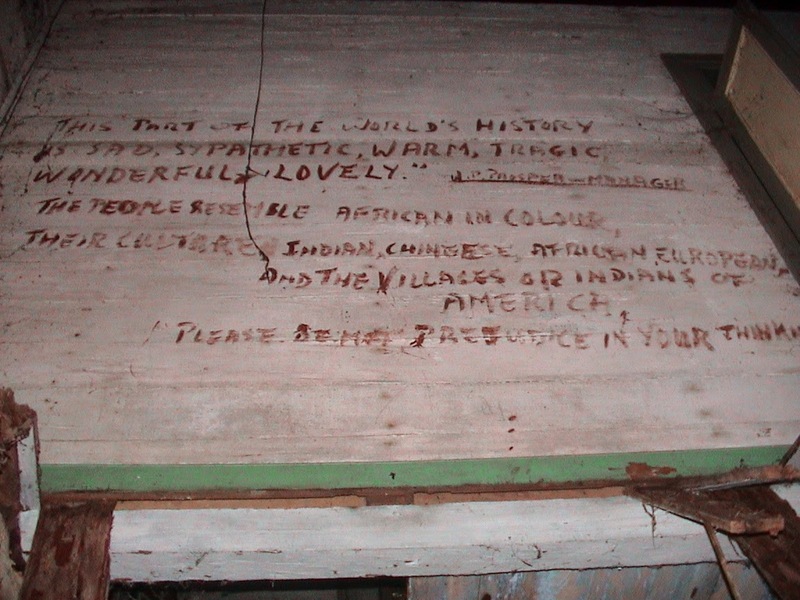 Finally some messages written in blood by the last people to leave or taken from the island. Today they still fight for justice to return to these Islands. 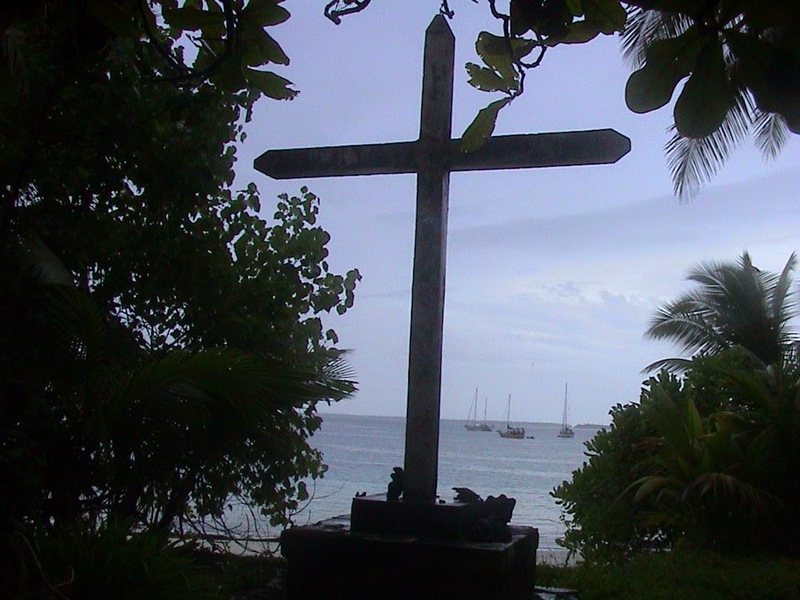 I hope one day to visit if they are returned to the people of the Chagos Islands. BIOT is a made up name . 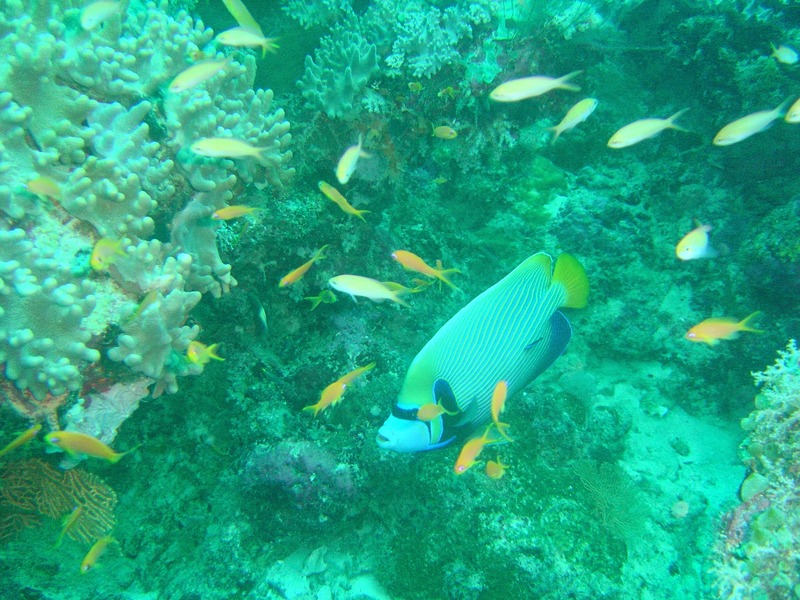 While visiting these Islands I was lucky to be able to dive and see how pristine these waters are. This was not by camera but were manly taken by the scientist on the trip. 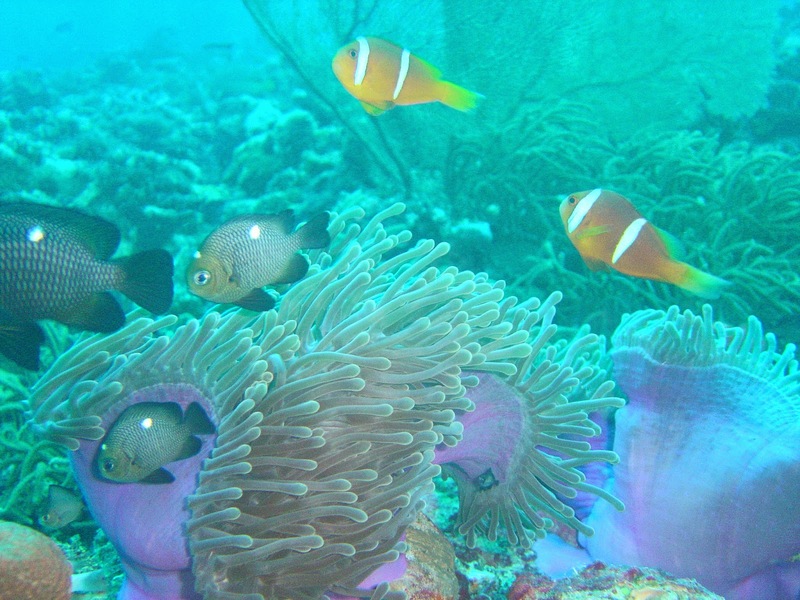 I will never forget the vibrant colours and life around the sea bed. I understand that some of the underwater photos were subsequently used for the design of postage stamps issued by BIOT. I wont forget this in a hurry. Sea cucumbers a major delicacy in Japan. As we were on a official trip approved by the British Government we were due to meet the Marine immigration officials from BIOT. 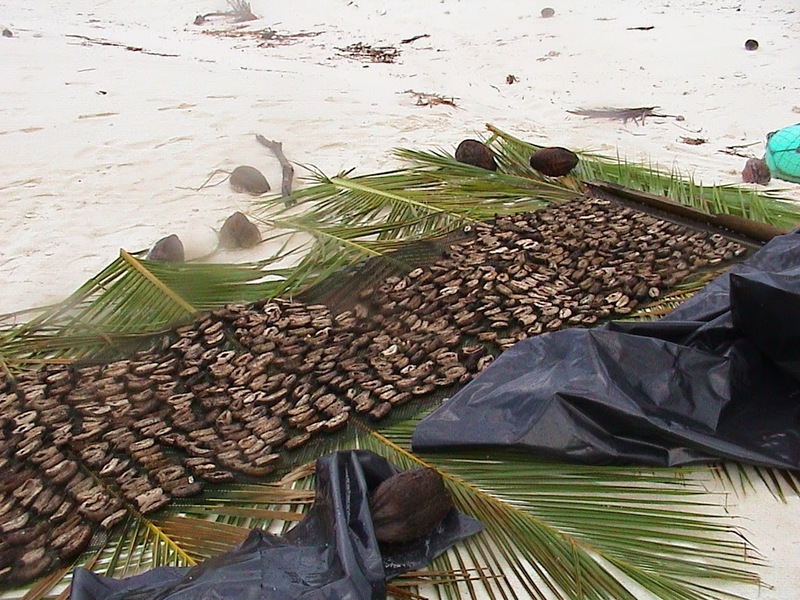 However on the day prior to meeting them , on a remote Island , I found these sea cucumbers laying out to dry. 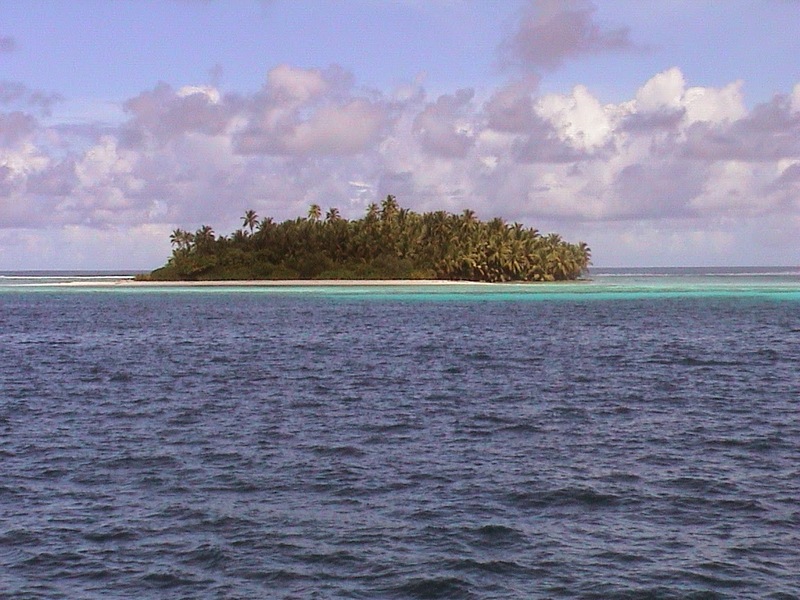 As such I with others then discovered fisherman living on this remote island catching these . They when exported are quite expensive. 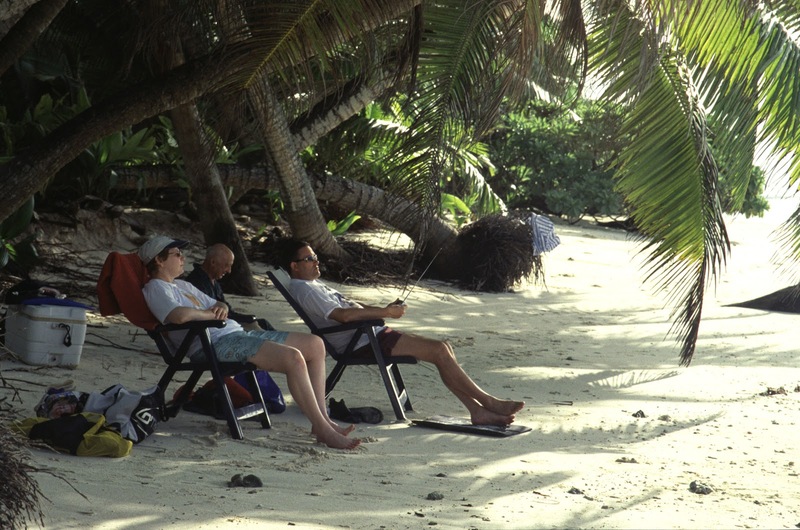 However, as we then had to report the fisherman for being on the islands, the marine officials had to change course to get here and take the fishermen back to Diego Garcia to be removed from the Islands. So no passport stamp for any of us on this trip!! 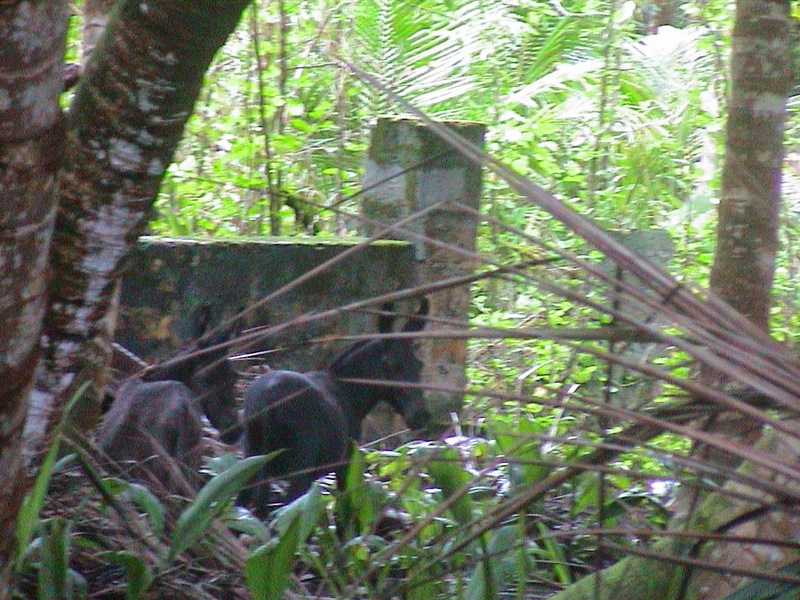 Here I am at the entry point to Peros Banhos. Right at the harbour not far from the church. 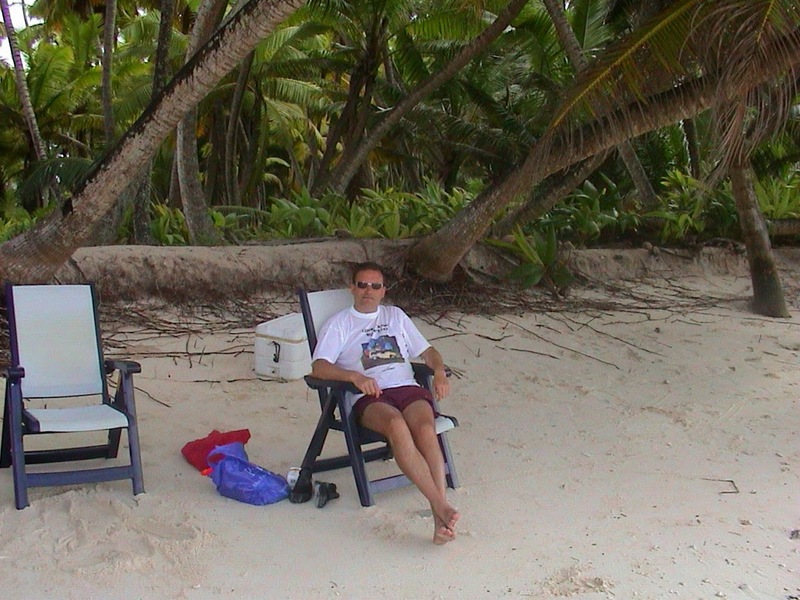 Some photos relaxing on the islands. On one of the days I was "in Charge " so a mark of respect I was given a foot mat and a was allowed to listed to the BBC world service . One of my favourite pastimes was to watch the Hermit crabs come and go. Amazing and when you went near them they would stop walking and bury themselves in the sand. They are all carrying sea shells that help to protect them. Europe-Germany-Cologne I visit this city every January for work. So it never looks like this postcard. However it still has a lot to offer. I especially like the green bridge that you see here on the picture. I had taken the trouble to find out what Post Office in the city had special stamps. The one I choose in fact had only this issue available as well as the regular Flowers issue. Europe-Ireland-Galway Galway city, without doubt the cultural capital of the West of Ireland. 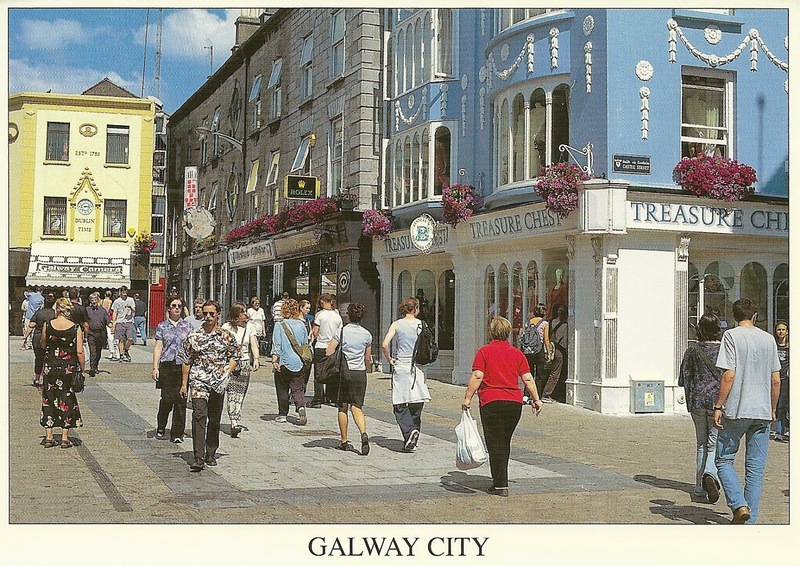 Galway boasts some of the finest shops, pubs and restaurants to be found. One of my favourite cities in Ireland. I spend a nice weekend here in November. The card shows a commemorative stamp featuring Thomas Davis. Unusually this stamp was available from the main Post Office in Galway . Normally special stamps are mostly only available from the Philatelic counter in the Dublin GPO. Also this is my last postcard in my current sets. So a bit sad putting this up , but also delighted I could share all these cards with you all. 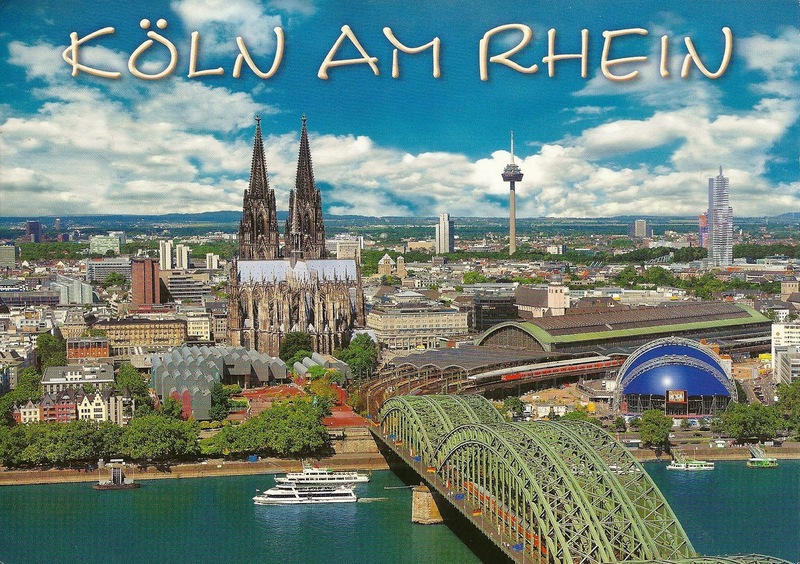 Apart from a possible card from Germany , my next set of cards will be from the trip due to start February 16. That is all sorted now and looking forward to that. Lots of postcards due from that trip. On the trip- Perth, Australia, Christmas Island , Cocos (Keeling) Islands, Sabah, Sarawak, Johor, Kelantan,Terengganu, Perak, Pahang, Penang,Perlis and Kedah. I have been to Malaysia many times but never posted cards in these states. In the meantime this blog will start to go back to some of the countries I have been to share some more stories , photos and in many cases photos of Post Offices. Europe-Northern Ireland-Mount Stewart This is a potential World Heritage Site. 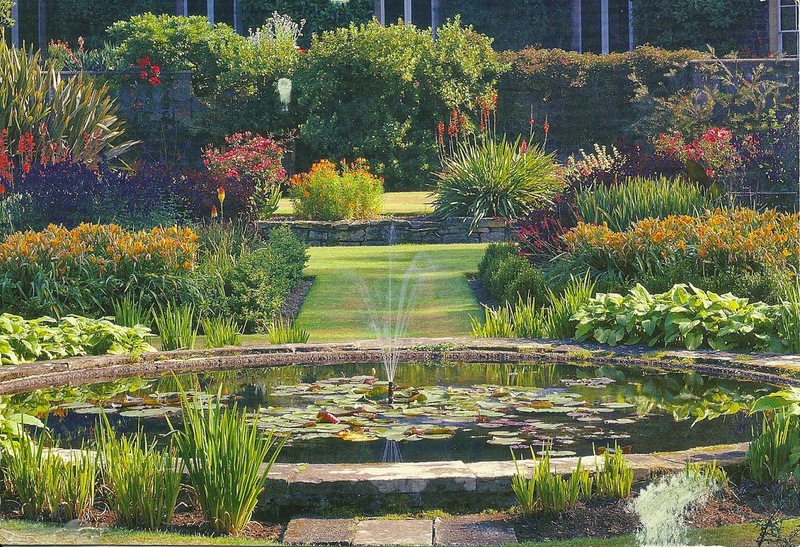 Mount Stewart House and Gardens is a very beautiful location to visit. Got a tour of the house where many of the Royal Family have stayed in the past. A regular Northern Ireland Definitive issue. 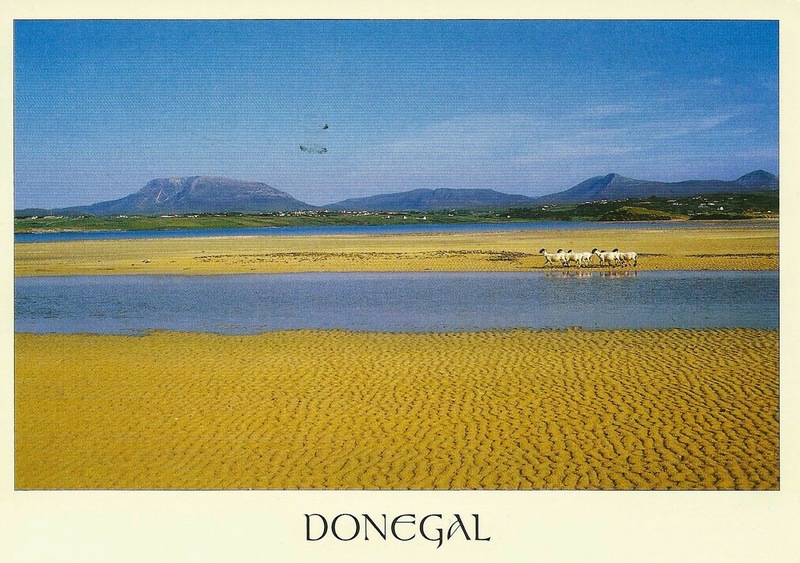 Europe-Ireland-Donegal The most Northerly of the provinces of Ireland. A really beautiful county and I dont go here very often as it is up the top of the Island. Great beaches, if only we got the weather to appreciate them . This fashion stamp was from a booklet . Europe-Ireland-The Burren A world renowned area for plants and rocks. Some plants are only grown in this area , so it is very unique. 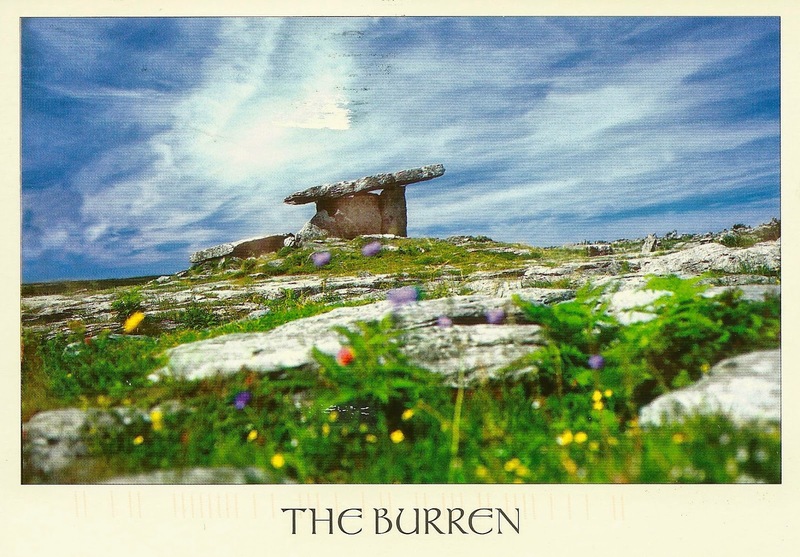 It is a lovely area to visit in County Clare in the West of Ireland. These cards were posted in 2009. Featuring a Europa stamp from that year. Europe-Ireland-Killarney One of my favourite places in Ireland to visit. I have been here many times and have fond memories from my time when I was a child . 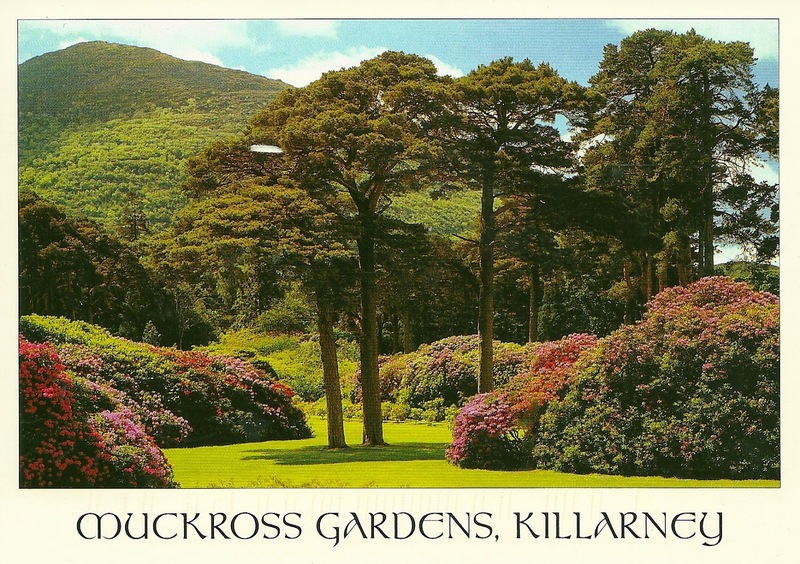 Killarney is a big tourist spot and is on the edge of the Ring of Kerry , a famous tourist trail. The Gardens and the old big house are a wonderful day to spend an summer's afternoon. A standard laser print .